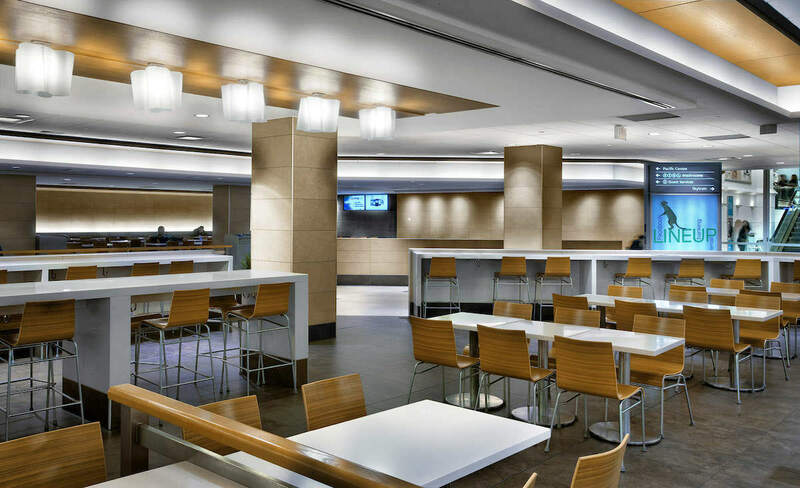 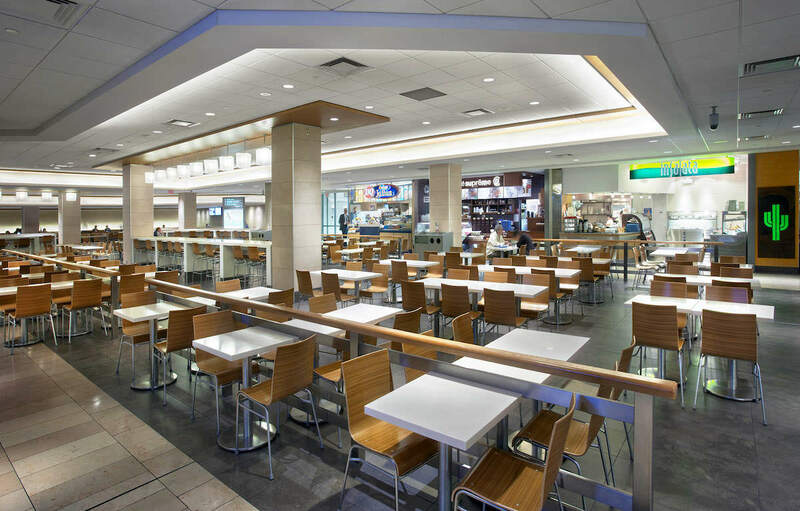 As part of the comprehensive remodeling of the Pacific Centre, the food court was relocated and given a fresh appearance. 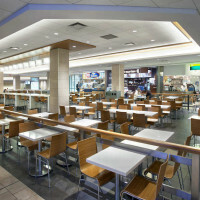 The large food court offers a wide selection to shoppers and office tenants in the nearby and connecting office towers. 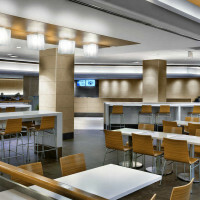 Interior design by GH + A.